Physiotherapy is medicines for Today and Tomorrow, Exercise is Medicine for Today and Tomorrow. Physiotherapy is the side-effects of non-reactionary treatments that make your life dynamic and give you peace of mind. Diabetes is not a threat, take proper treatment and exercise regularly, stay healthy. The role of physiotherapy treatment for diabetes patients is immense. 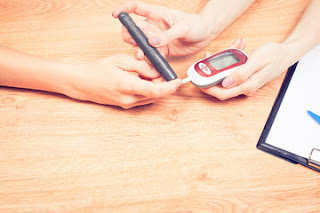 There are many diabetic patients who have more weight. In this case, there is a need for specific exercise for their weight loss or control. Physiotherapy doctors prescribe the treatment program for this treatment. Regular exercise for diabetes patients is very important. Because mitigation exercise or exercise reduces the risk of developing diabetes. Reduces the amount of blood glucose in the blood and helps keep glucose in control. Exercise every day increases bone density and removes joints related problems. Besides, one-third of the risk of stroke is reduced. Often diabetes patients have some complications. Such as diabetic feet, neuropathy, foot irritation, adhesive capsulitis, joint pain etc. There is no substitute for physiotherapy treatment for reducing these complications or for treatment. Along with physiotherapy, exercise requires proper diet plan. Avoid those foods that increase the glucose label, and eat those foods that contain blood glucose label controls. Those who are suffering from pain, avoid some foods such as sugar, salt, white flour, white rice, dairy foods, ice cream, cheese, fast food, cold drinks, artificial juice, etc. Eat less ghee or butter. Drink plenty of water. Sleeping at least 8 hours in 24 hours. Abstain from smoking. Currently the world has diabetes epidemic. About 150 million people in the world are infected with diabetes. This number can be doubled by 2025.